Direct-to-Screen (DTS) equipment is used to create a stencil without the use of film positives or exposure devices. True to the name, a digital image is reproduced directly on the screen itself. 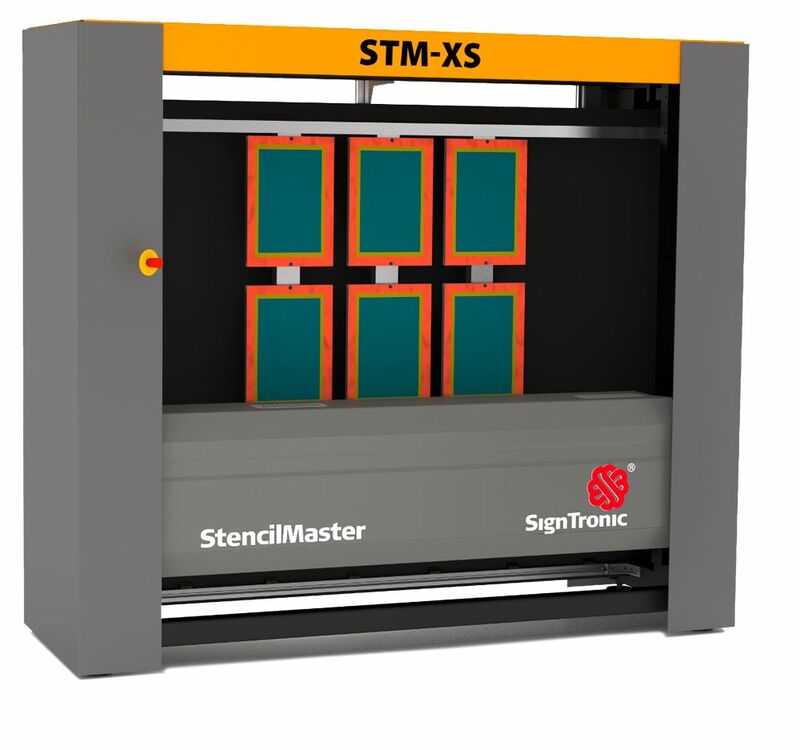 Some DTS devices create a stencil on a stretched screen by depositing a wax-like substance that acts just as the emulsion does on a traditional screen. Others use precisely controlled UV light to digitally expose an otherwise traditional emulsion coated screen. The DOUTHITT Model CTS is a dependable, high quality computer to screen device. No film is necessary—simply print the image directly on the screen to expose. The wax consistency and phase change ink jet head technology provide a superior quality print. 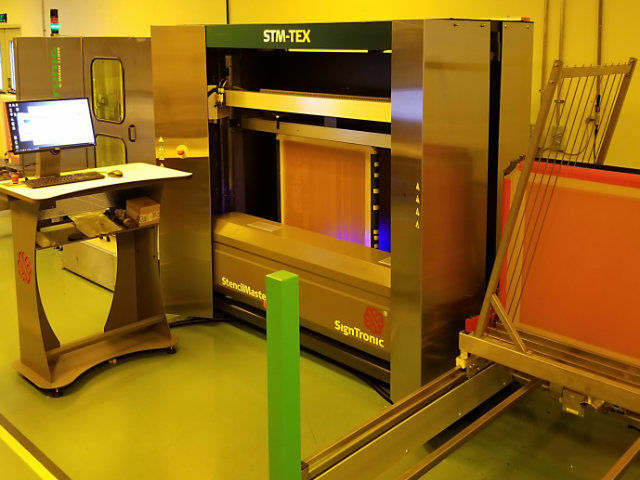 The high density of the wax allows for a fully hardened screen, and the Model CTS’s repeatability saves registration setup time. The integrated PC control system is easy and intuitive, and compatible with any RIP that can output 1 bit uncompressed TIFF files at 600 DPI. A RIP software package is available as well. 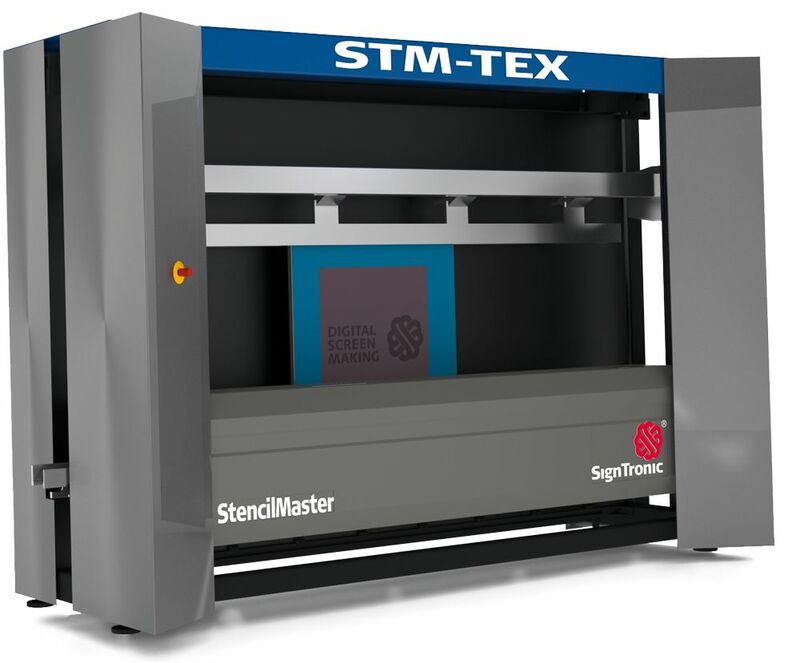 The STM-HR is a high-end computer-to-screen direct exposure system. 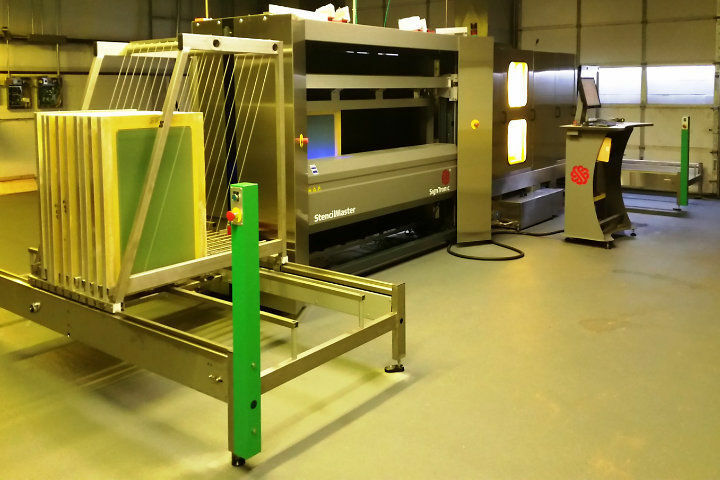 Due to the digital screen making process it enables, it can provide improved printing quality, greater efficiency and lower screen costs. 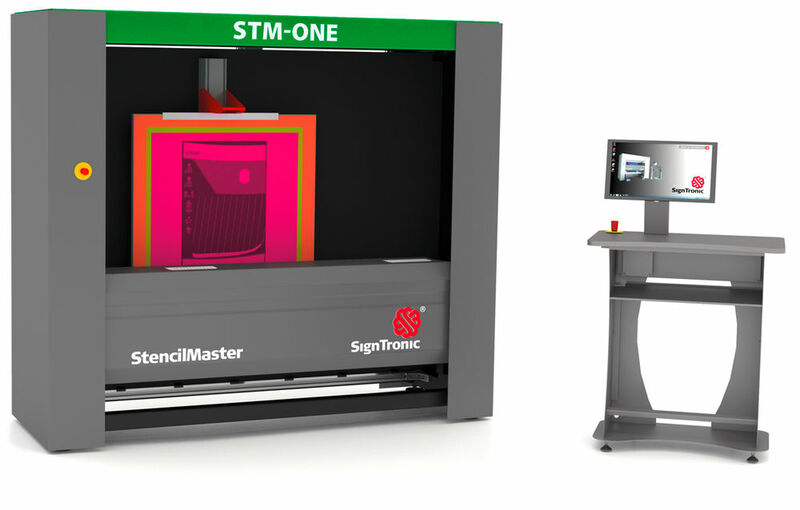 At 2400 DPI, the STM-HR can meet even the highest print requirements. This system also allows for modular extension. Any Grünig “IN-LINE” parts can be integrated with this device. Additionally, the optional remote image control board provides a simple and efficient means of monitoring and maintaining a high quality exposure. 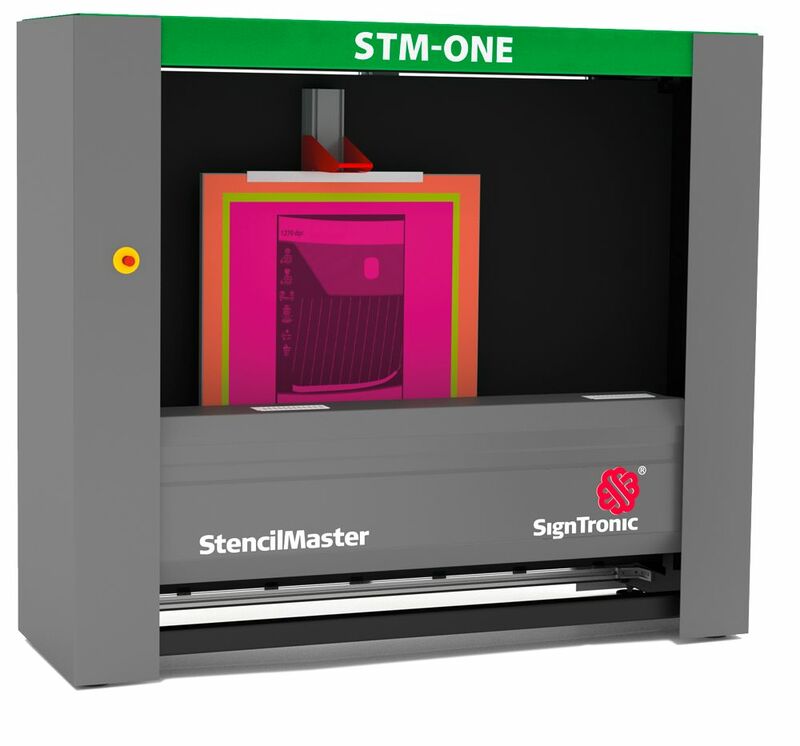 The STM-ONE is a compact, entry-level computer-to-screen direct exposure system. Designed primarily for small quantities and small format screens, it brings improved printing quality, greater efficiency and lower screen costs to your print process. Precision ZEISS optics offer excellent light transmission and high precision resolution. 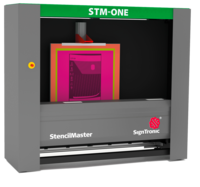 The STM-ONE system can be conveniently loaded from the front and requires less space for installation. The remote image control board provides simple and efficient means of monitoring and maintaining good quality exposure. 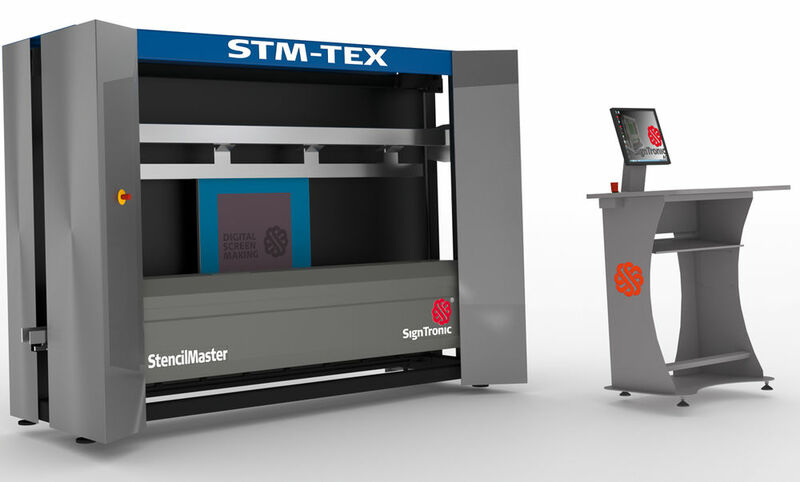 The STM-TEX is a high end computer-to-screen direct exposure system designed for the textile market. 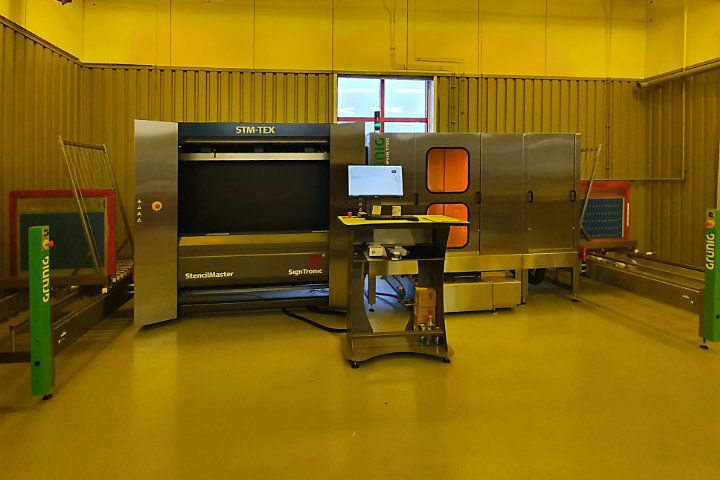 It simplifies the conventional screen making process, bringing improved printing quality, greater efficiency, impressive flexibility and lower screen costs to high end textile printing. 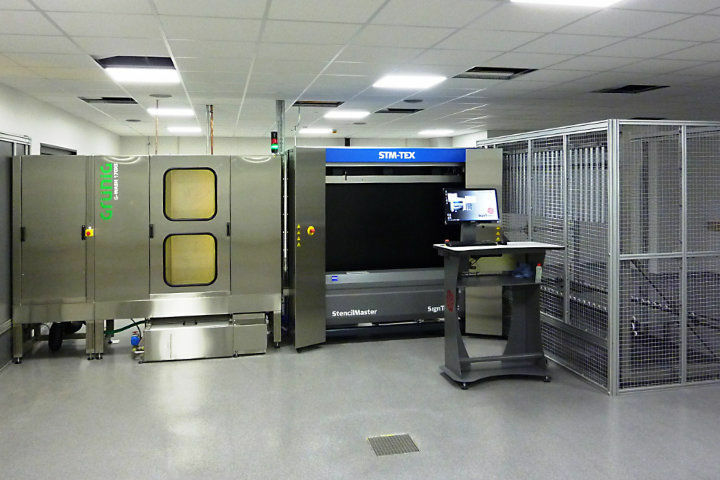 The ZEISS optics allow for maximum precision and high light transition. The system also allows for modular extension. Any Grünig IN-LINE components can be easily integrated. Additionally, the optional remote image control board provides simple and efficient means of monitoring and maintaining good quality exposure. 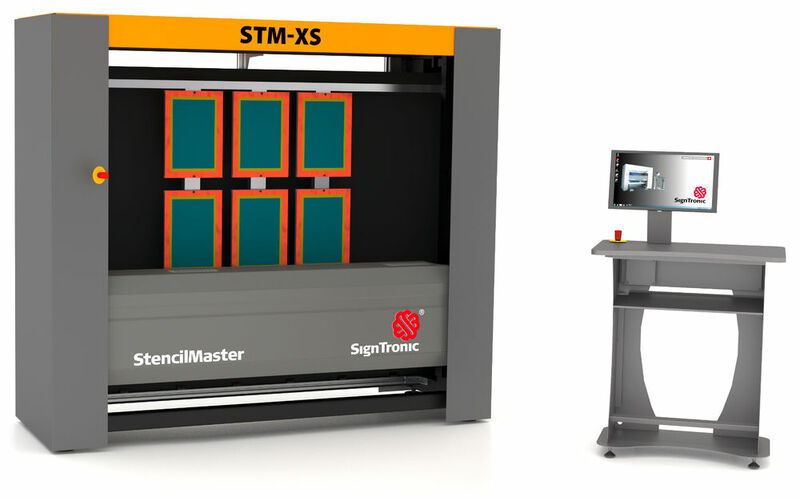 STM-TEX PRO-10 is a simple system that can handle up to 10 screens in an automated job queue. They are ready to print once removed. 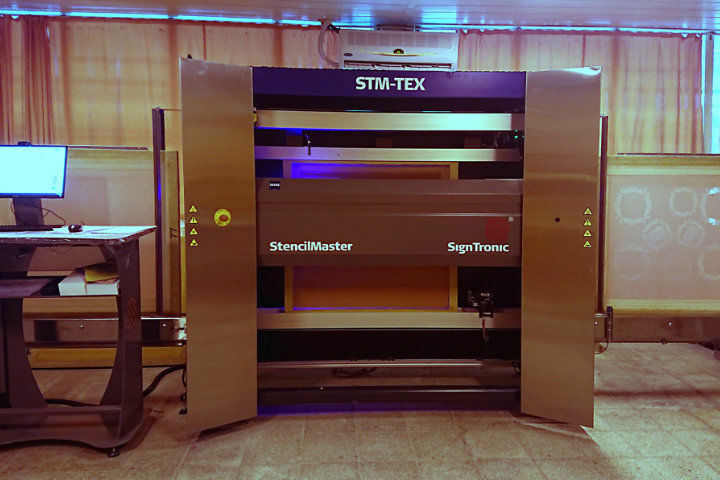 STM-TEX PRO-one allows for one screen to be exposing, one to be developing, and another to be loaded simultaneously. They are ready to print once removed. STM-TEX BASIC-10 allows for 10 jobs to be in the queue at once. The only requirement is to develop and print the screens. STM-TEX BASIC-one exposes one screen while another is loaded. 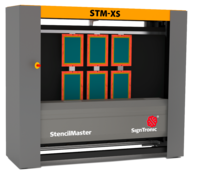 STM-TEX BASIC-zero is the most basic direct exposure system. It has a beneficial exposure quality just like the other, more complicated systems. 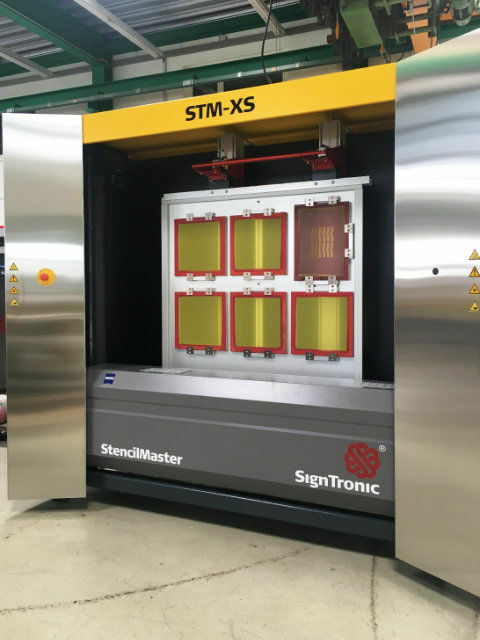 The STM-XS is an entry-level direct exposure system that is specifically designed for smaller screens. 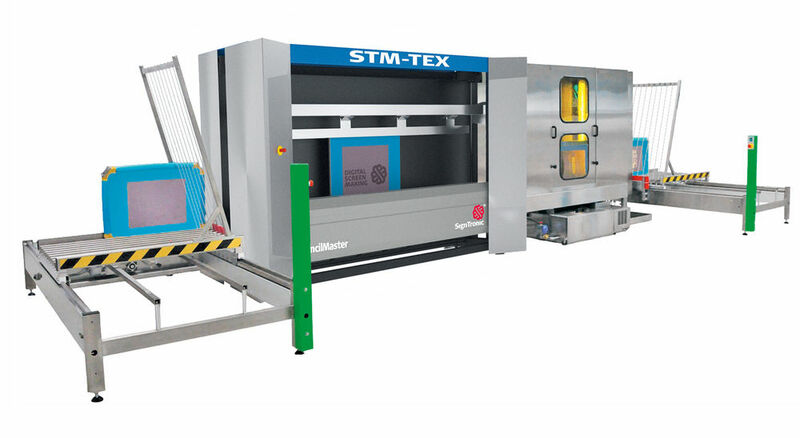 It is designed with a fixed frame positioning system and does not possess the IN-LINE automation capabilities of other SignTronic models. 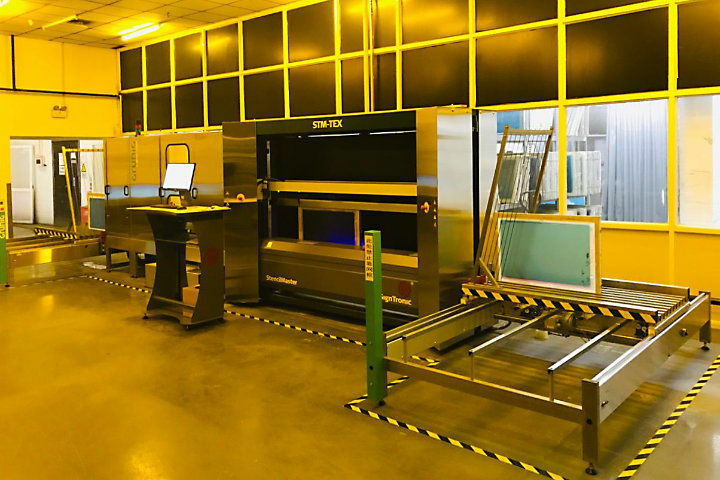 Frame positioning can be customized to ensure perfect screen registration, and multiple smaller screens can be simultaneously exposed.